HI-STYLE: IS IT FALL YET? 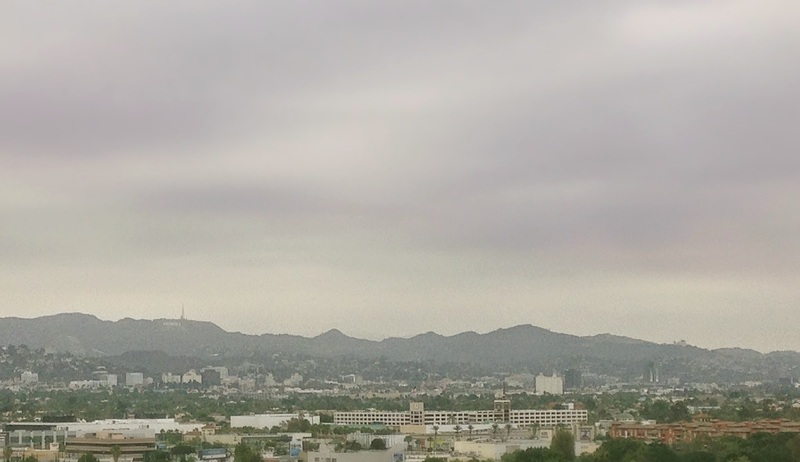 First overcast day and I've decided it's a different season entirely. Poor August isn't even over yet and I'm already wishing it were fall. All I'm interested in are hot beverages, soft sweaters, and September issues - but it's still technically summer, so all I can do is dream about layers while I crank up the AC yet again. The 90's have been alive and well for a few seasons now, and the trend shows no sign of slowing down. 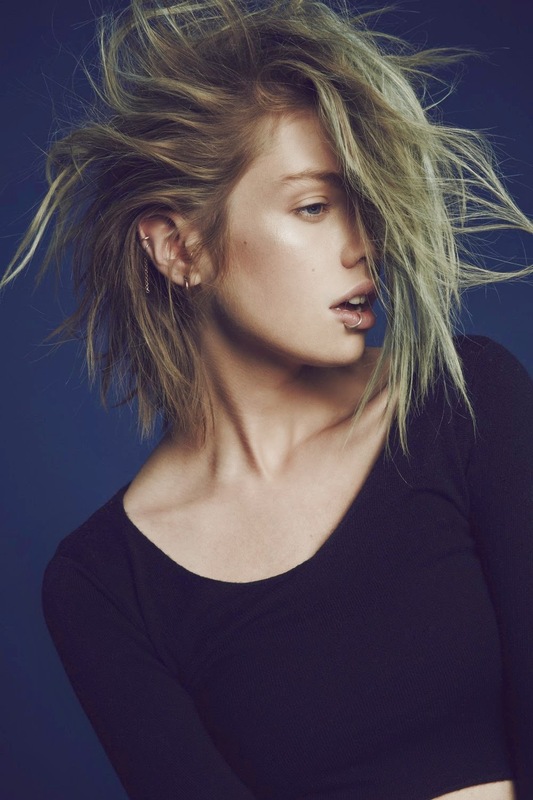 For Love & Lemons has debuted a knits line (!!!) and it's not hard to tell where they found their inspiration. I'll always have a soft spot in my heart for grunge, but my closet needs to go in a cleaner direction. This fall, I'd love to mix the 90's/millenium vibe with some 70's lines and silhouettes. A more streamlined view of both decades - in muted tones and neutrals, as is my nature. The maxi coat will always instantly make me think of the 70's. My mom has some great stories about all the hijinks her maxi coat got her in and out of - every woman should revel in the power of a really great coat. 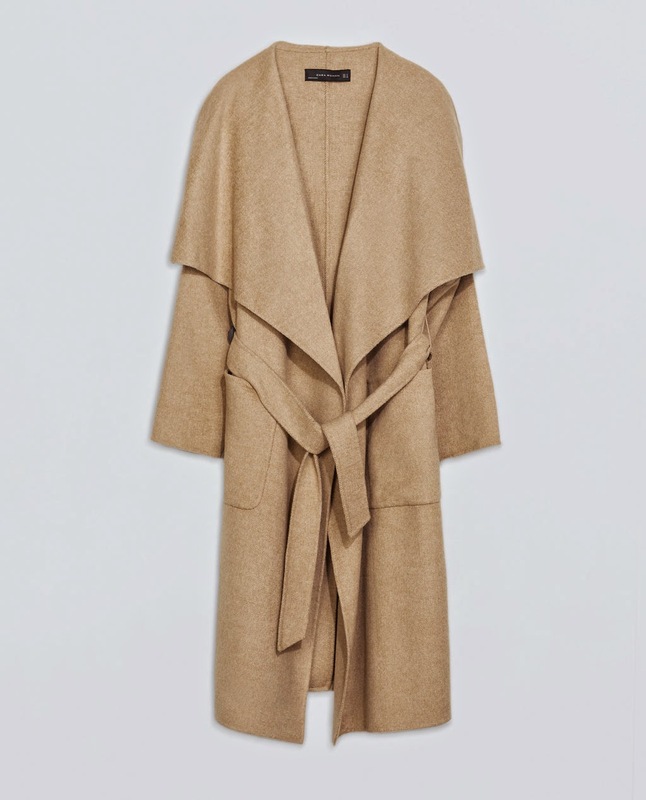 Last winter I received a gorgeous sandstone stadium-cloth coat from J. Crew - it's one of my most favorite pieces of clothing. But who can survive on only one beautiful coat? 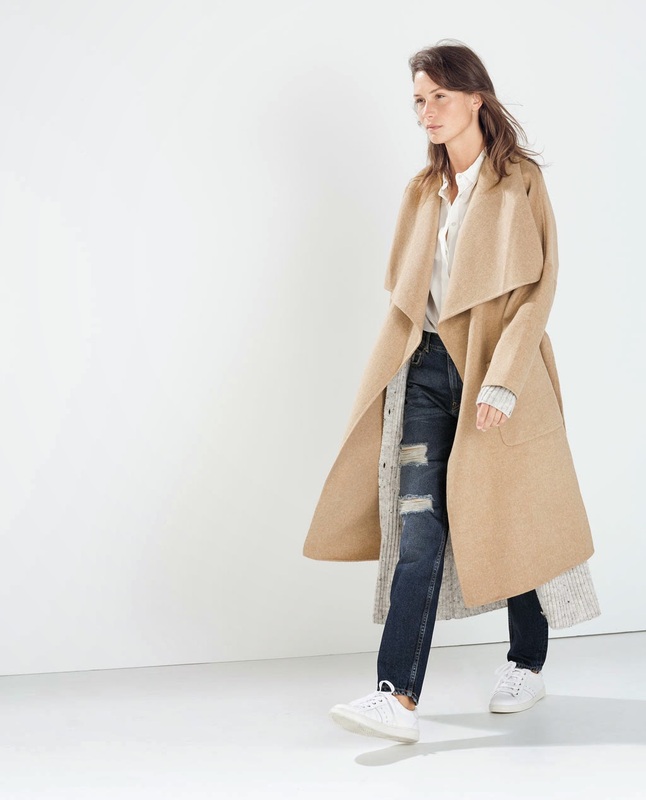 Zara's fall collection has a maxi coat my mother would be proud of. I'm absolutely dying over the camel color, the length, the drama. It's exactly the look I'm after. I know, I know - why do I need a coat in sunny LA let alone two, we have no winter, blah blah blah. Look - when it comes to great outerwear, logic is meaningless. It will be mine. They will all be mine. Every basic betch out there is wearing a floppy hat right now, and it's kind of annoying. Mostly because 1. 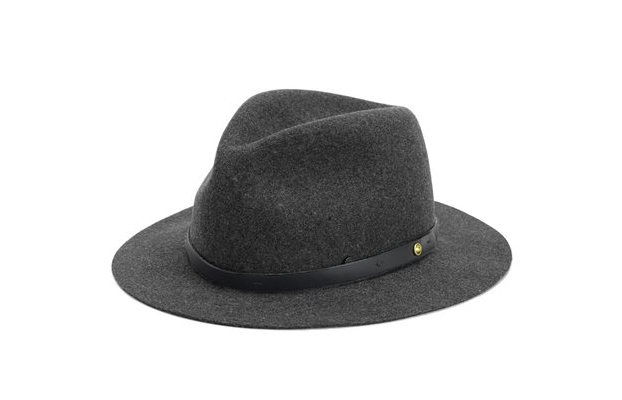 I'd like to find a hat out there that is attractive and not floppy, which is hard when everyone else is on the floppy train, and 2. I don't want to lumped in with the basics. One ticket for the Struggle Bus please, headed to Pity Town with a layover in First World White Girl Problems. That said - I want this hat. It's grey, my happy color, and it's a nice stiff felt. No flopping, no basic, no struggle bus. A piece that is undeniably 70's that I've been avoiding? The jumpsuit. Rompers, I'm down - I own three. But jumpsuits...I believe I once told a friend that if I ever even thought about buying a jumpsuit, she should throw me down a well. But as fast fashion took hold of the trend and started coming out with more affordable and flexible versions, I've started to come around. 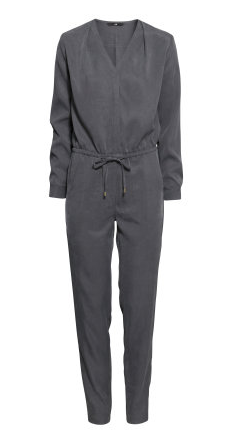 H&M has this great long-sleeved jumpsuit that might actually make me take the plunge - but we'll see once I put it on if it's more Amelia Earhart rather than Bianca Jagger. I found these boots at a Joie sample sale last year; while everyone else was pawing through the XXS silk shirts that fit only a select few, I was leisurely perusing the leather goods with zero hair-pulling or shoving. The Chelsea boot is a little more mod than 70's, but the fringe on the side brings them up a decade in my opinion. They are exquisite, and I can't wait to break them out again. It's time to interrupt this post with a sad, sad story. 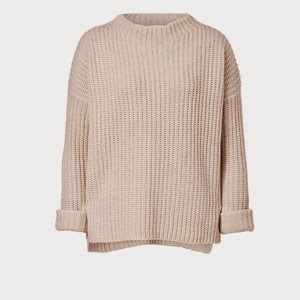 Once long ago (last October), I found the perfect oatmeal sweater. It was boxy in the right places, with a hint of a collar, and the most perfect sleeves, ready to be cuffed or scrunched or slouched, whatever. A thick knit, it held its shape even through multiple markdowns because of course, it was on sale. This made it even more desirable. But it was Vince, so it was already starting at a high price. I was a trigger-shy fool and passed it up, sure that I'd find another. But I didn't, and the sweater was gone the next time I looked. Luckily, I'm a Google master, so with little to no real search terms other than "that perfect sweater I found one time by Vince" I did indeed find the sweater again. Of course, it's sold out everywhere. But at least I have a picture! My goal is to find a similar one - so if you have any leads, don't hold out! That's where Acne comes in. I've been devoted to their jeans for a long time, ever since that fateful Ron Herman going out of business sale where I nabbed $30 pairs of Acne and Marc Jacobs jeans left and right. But that was a long time ago, and jeans don't last forever. 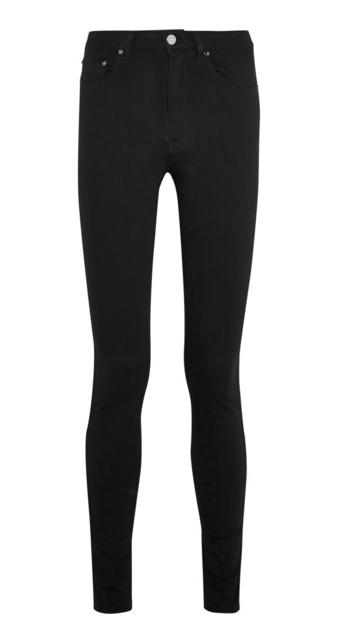 I'm looking at the Acne Pin jeans in black at the moment. So slim! So dark! So Swedish! What would a change in season be without appropriate mood music? Spoon just released their new album They Want My Soul, and it's the bomb. Groove into fall with me, guys. OMG I have all my Vogue Knitting Magazines from the 90's and these sweaters could be in the editorial of any of them. Right?! Lovin' this throwback season.